The Sportsheets team won the 2016 Erotix Award for Best US Manufacturer. ”We are so happy to be recognized in Europe for all the hard work we do in the States,” says Sportsheets President, Julie Stewart. “Our team has worked tirelessly to bring Midnight to the market earlier than expected while sales have surpassed our expectations,” continues Stewart. 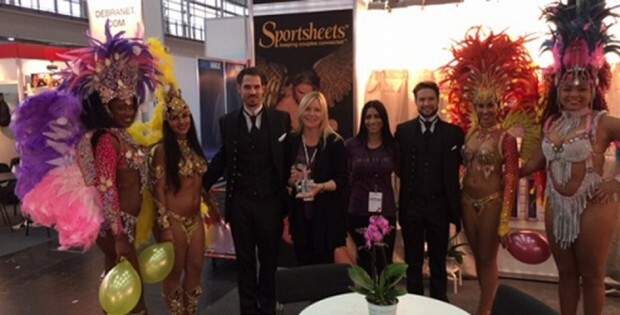 Sportsheets was represented this year by Julie and Sales Specialist, Sylvia Lopez. Each brand was showcased in pre-designed plan-o-grams that make it fast and easy for retailers around the world to communicate the Keeping Couples Connected messages.